I need some strap suggestions. I know some of the old SSW (like mine) came with a bracelet very similar to the one on my SW, but these are 19mm, I assume? I guess my 18mm SW bracelet wont work on 19mm SSW (dont have fitting pins so I haven't really tried yet)? Other suggestions? Black nato or dark orange would probably look ok, but I'm a big fan of SS bracelets! Re: Latest member of my Sea Wolf family! love that watch and hope to have one some day. Black Tropic rubber 19mm band would look great on that and is original on many versions of that SSW I think. I see the 19mm Zodiac bands come up for auction from time to time, so you may be able to find one eventually. I will get some more pics of it. I really don't know how to post them though. If you could tell me again I'll be glad to do it. A very impressive SSW - it gives me something to aim for! 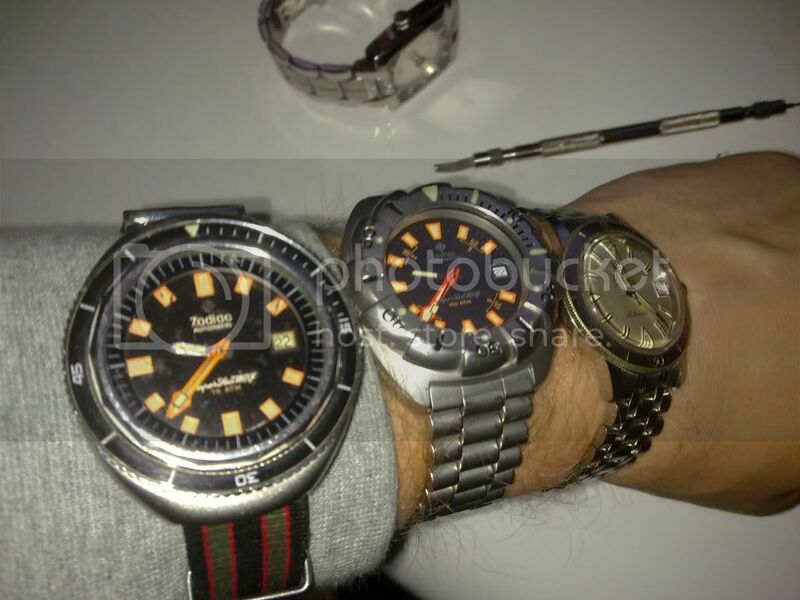 I've just entered the Zodiac watch world and have a couple of 'standard' SWs, with a GMT on the way from Butch. Wow, that's a pretty cool Sea Wolf photo. I never realized how large the 70's SSW is. I guess I've never seen all three in the same photo like that. Nah, I like it when you wear a coat and gloves in August man. Hahaha, I was thinking about that after I posted. ...hmmm,...was he at the North Pole or something? Well, the pic was taken and posted in November. 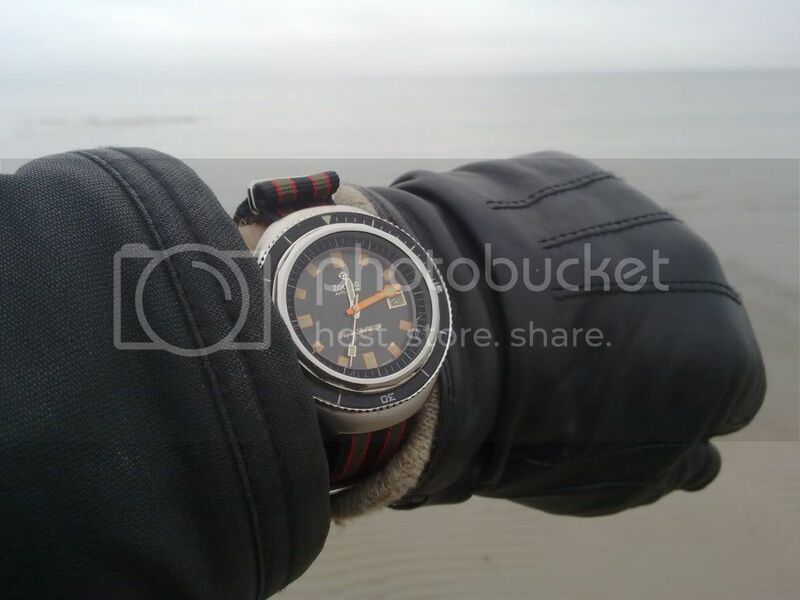 But from now on, all of my wrist shots will be taken with coat and gloves on! Not jealous of the hair but I am green with envy over that great looking Sea Wolf checker that you're sporting! I think you shared about enough Butch !